Last touch-up for a special night out? 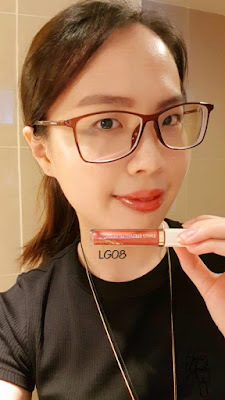 For the last product review of the year, I proudly present to you lip gloss review from SimplySiti, a Malaysian brand. Before we proceed to the product review, I would like to draw your attention to its iconic founder, the elegant Dato’ Sri Siti Nurhaliza, whom is widely known as one of Malaysian’s most successful singer for decades. She is now also a businesswoman. In 2006, Dato’ Siti started a family business with diversified interest in various fields mainly in the music and entertainment industry. She had launched her own beauty product line – SimplySiti in 2010 (source). As I was travelling with AirAsia some time ago, I was drawn to their duty free products which features SimplySiti's product as below. I really wanted to get my hands on this AirAsia Edition, hence quickly I send in online order on my next AirAsia international flight. Yes, you can purchase online via bigdutyfree.com and choose your shipping mode via "on-flight". What about the product? How's the color payoff? I had these questions before I put my order, and I was disappointed because there isn't much product information on them. Anyway, it doesn't bother me to purchase them. 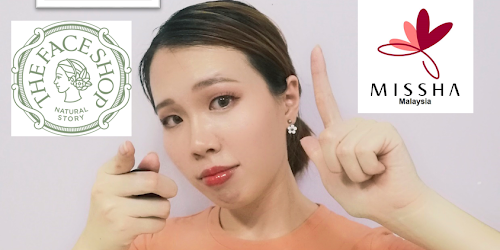 When I got the products, I was really happy with the design. The packaging is made of plastic with gold fonts and borders. I would say, simple yet elegant. 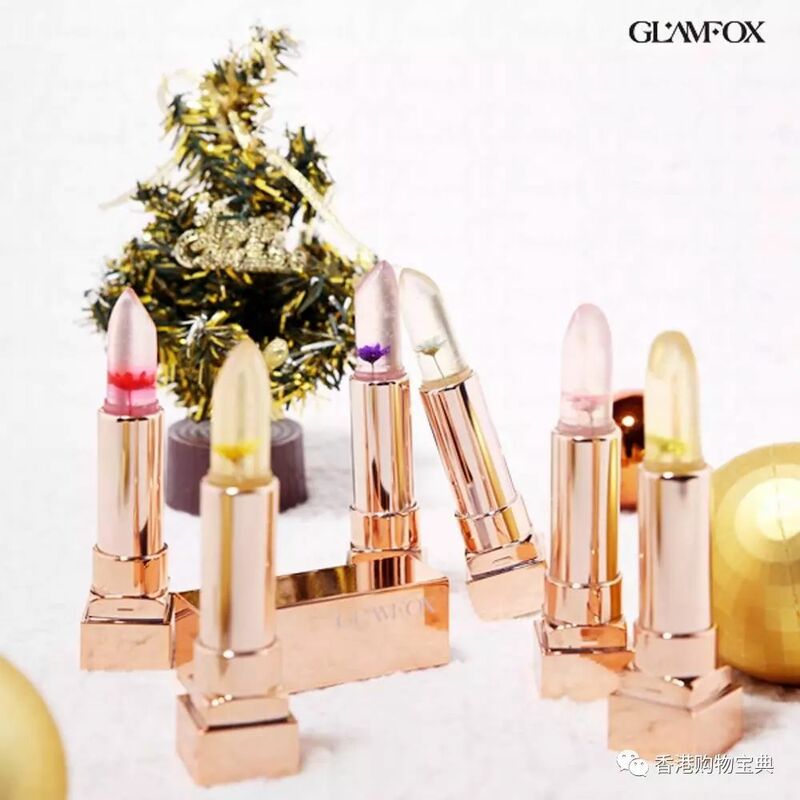 Obviously, this lip gloss duo kit comes in two colors: Gold Edition LG06 and Red Flame LG08. Take a closer look. 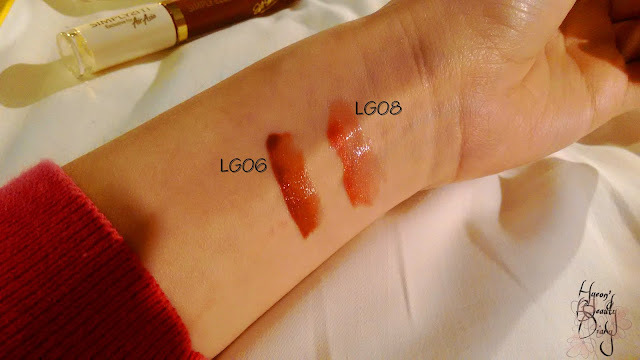 LG06 Gold Edition has a brownish finish, while LG08 Red Flame has a pinkish finish. 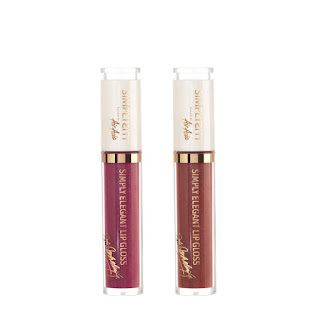 They are pretty decent lip gloss where they have glossy-finish (checked) and good color payoff (checked). 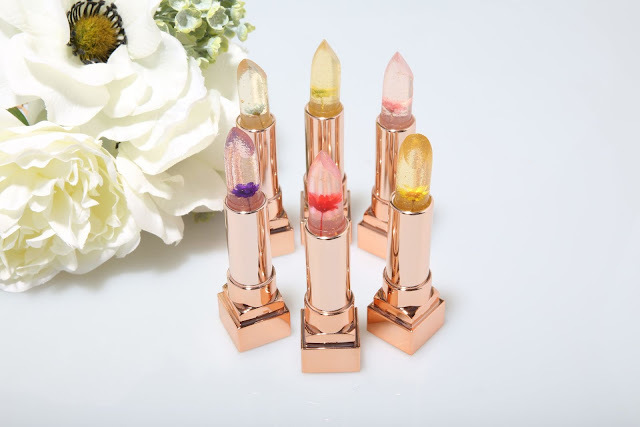 According to its product description, while it contains Vitamin E and Sunflower Seed Oil, they also claim it can "instantly plumps the lips, gives moisture and softness". Now I will do color swatches and you will be the judge. From the photos above, can you notice the slight difference between these two colors? Nevertheless, the glossy effect is spotless! Looking plumped, moist and soft? Yes! 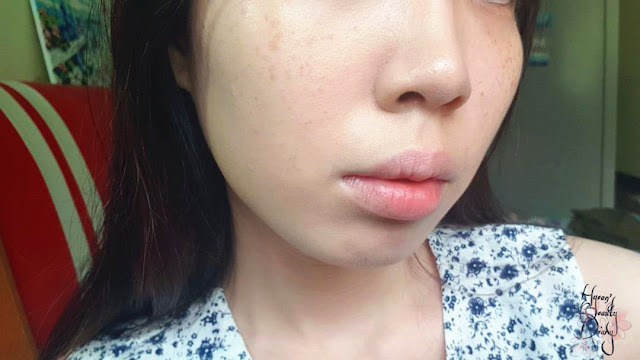 How does it feels on the lips? Just like normal lip gloss products out there. Not distinguishable or absolutely scentless. Contains micro-sparkles/glitter. Definitely not drying on the lips. Long lasting? Nope, you will need to reapply everytime you drink or eat. It is definitely transferable. It comes with a long applicator/wand, which makes it easier to apply on the lips. Overall, I think this lip gloss duo is absolutely perfect for daily makeup look. Both brown and pink are highly wearable in any function. To note. Whilst I am very impressed with its elegant design, I was surprised to find the gold wordings and borders starting to fade away in less than 2 months from purchase. I hope they would improve on the packaging, if they are ever planning to revise the product line in the future. It discredits all the good impressions we've got in the beginning. 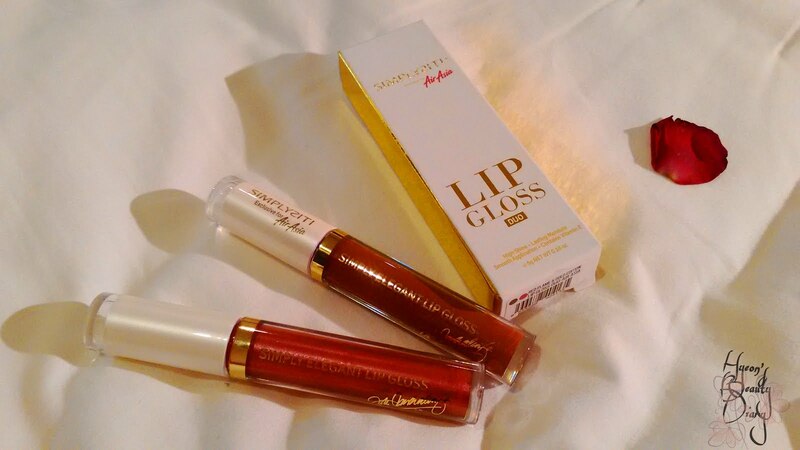 This lip gloss duo is available online via SimplySiti official website here for RM60. 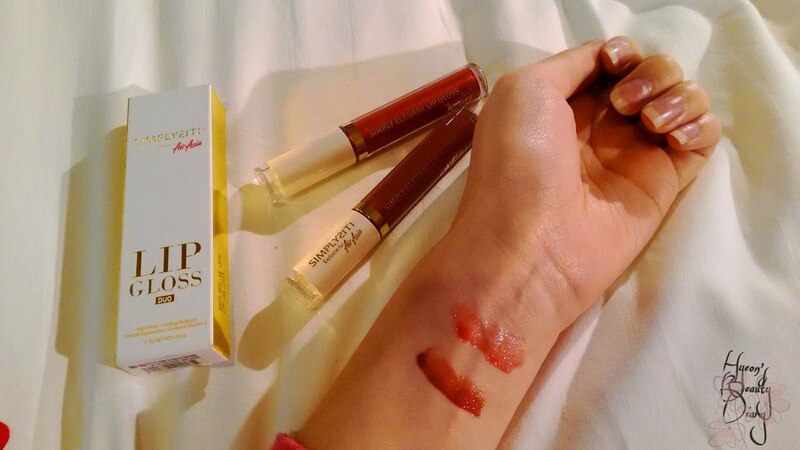 Recommend: Recommend for those who needs a start-up lip gloss kit. 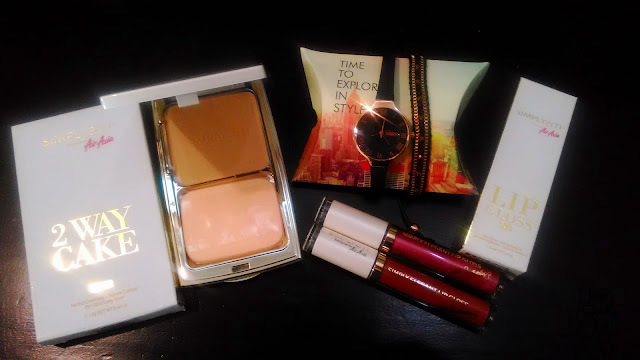 Repurchase: Less likely since I would love to try out new products. It's last Wednesday of 2017. The weather remains hot and humid here in Malaysia. Let's get hydrated, shall we? 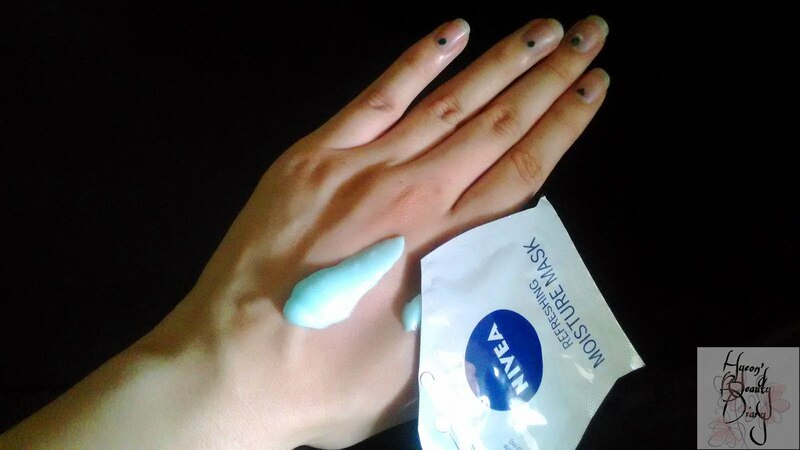 Disclaimer: This is a free gift (Nivea merchadize) I've got apart from wining G-Dragon's KWON JI YONG album. Also, this is not a sponsored product review. Merely I who wants to share with you random products I've been using. Side track a bit. I want to thank Warner Music Malaysia and Nivea Malaysia for the giveaway event earlier this year. Since I couldn't physically collect the prize from their office, the staff who I've contacted via Facebook kindly coordinated and sent out the gifts to me via courier service without any extra charge. Really thankful for that! Nivea Malaysia is one of the sponsors for G-Dragon's Malaysia concert, so it is not unexpected to receive their products alongside the album. Anyway, moving on to our review today. 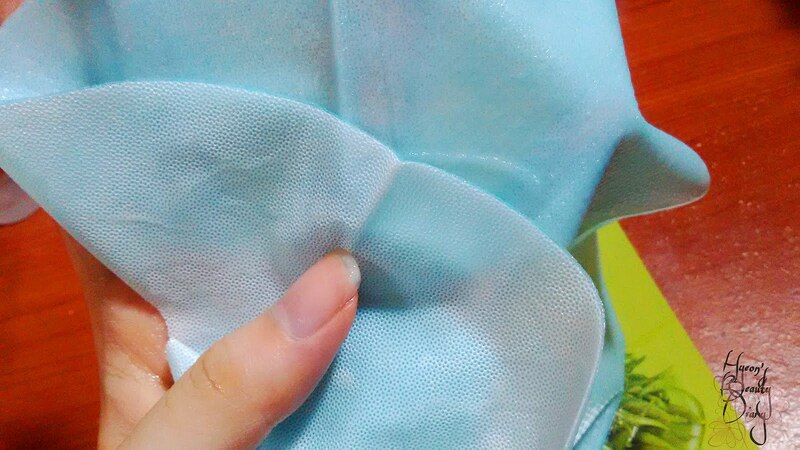 When I received, I thought "OMG this is such a cute size of amount" "I'm gonna finished it in 2 applications". Think again twice. 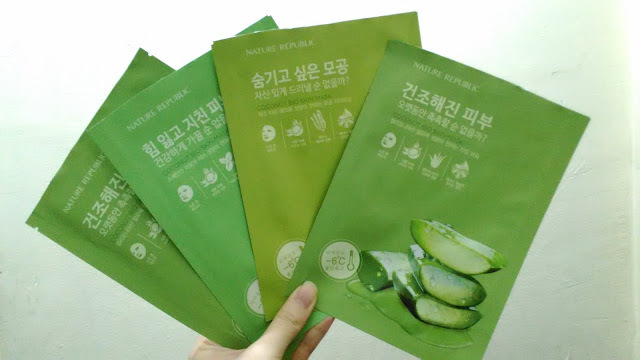 Despite the fact that it's suggested for two applications (which explains it has two sachets), the amount is sufficient for me to do twice per sachet. Yes, it turned out to be 4 times in total. Super economic (money saving). It says here, "(For) Normal skin. Intensively moisturizes and refreshes (the skin). For sensational fresh skin. 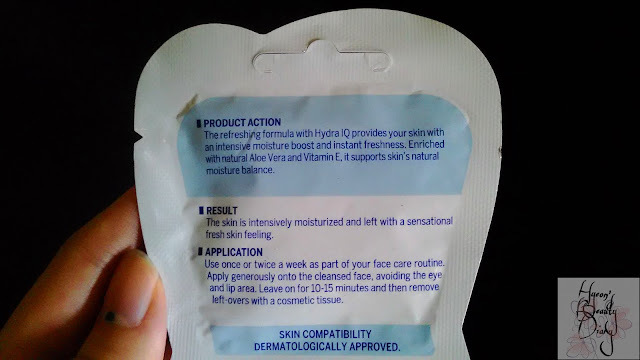 (Contains) Natural Aloe Vera & Vitamin E. Hydra IQ." What does Hydra IQ mean? 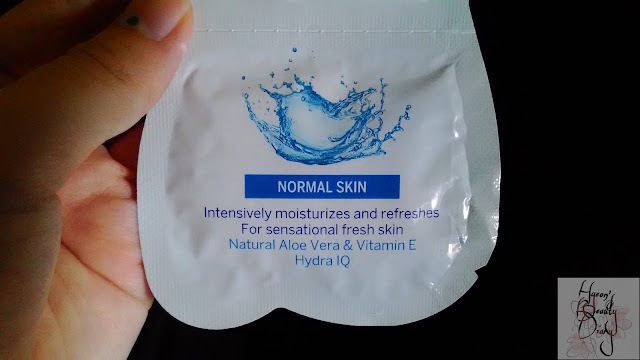 "The refreshing formula with Hydra IQ provides your skin with an intensive moisture boost and instant freshness. 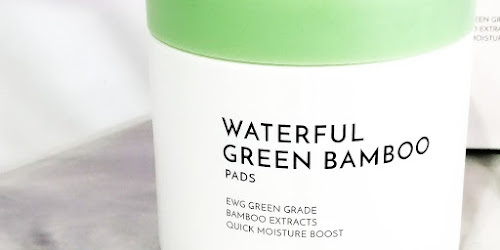 Enriched with natural Aloe Vera and Vitamin E, it supports skin's natural moisture balance." -Nivea. To start, cut for an opening. Squeeze to get the product. Take a closer look. 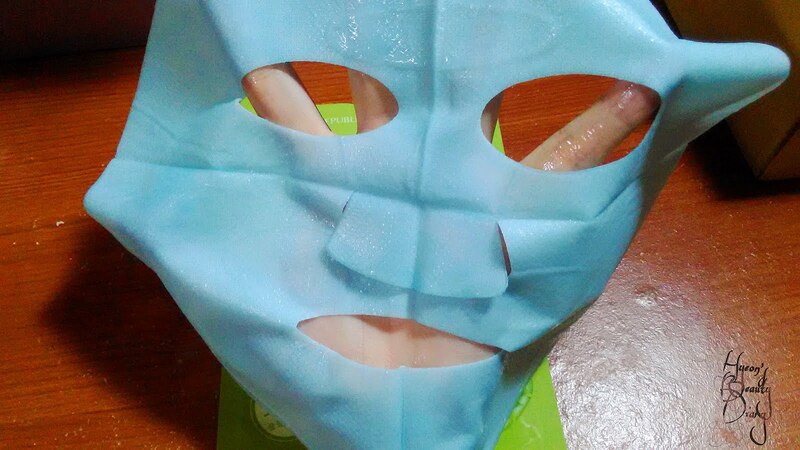 The mask itself is blue and has a texture between gel and cream. To use, apply generously onto cleansed face, avoiding the eye and lip area. 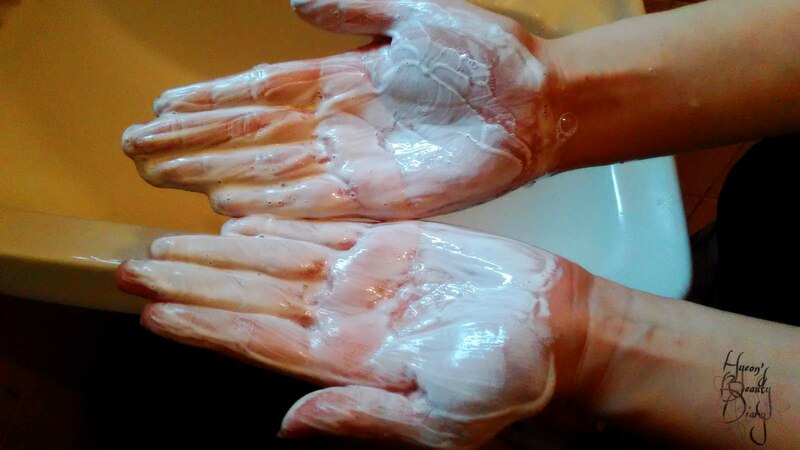 Leave on for about 10-15 minutes, then remove left-over with a cosmetic tissue. What I do is just rinse it off with lukewarm water. 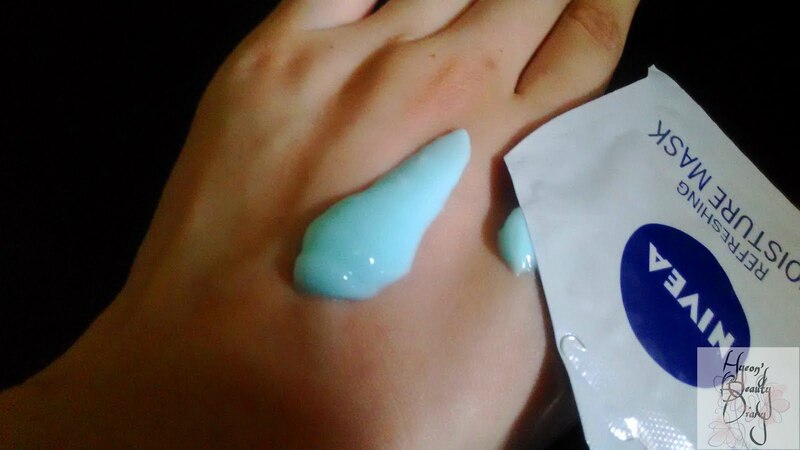 Maybe you noticed, there is no trace of blue cream despite I've applied it all over my face. 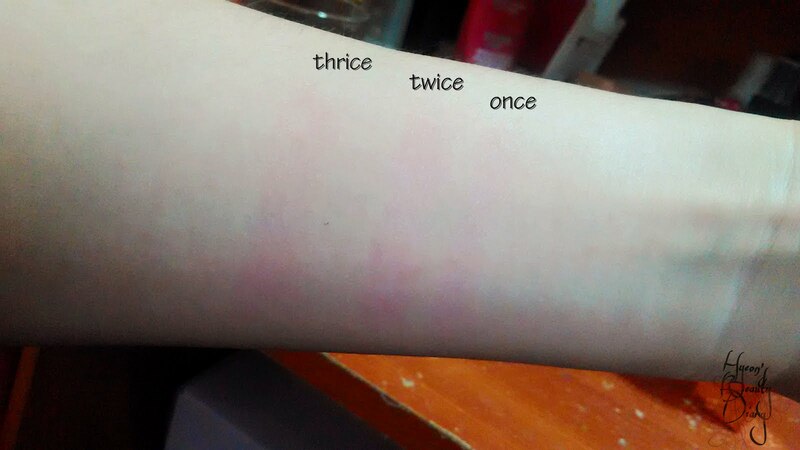 It does feels a little bit sticky on the skin, which is normal when you apply moisture cream/essence product. 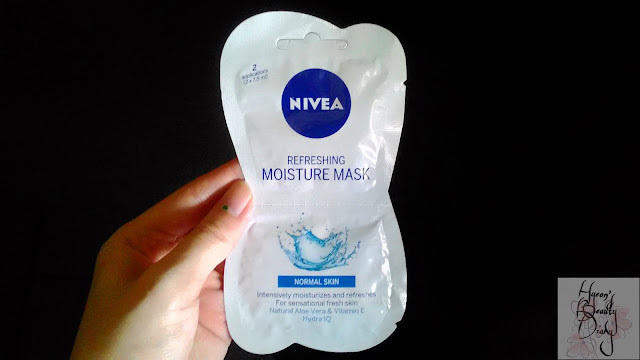 Personally, I would prefer to apply this moisture mask just right before bath. And when I'm in the bath, the steam that trapped inside the bathroom could serve as a "spa effect" which boosts the skin absorption. Then I will rinse it off before getting out from the bathroom. To be honest, I think the wash-off mask itself couldn't provide instant moisture for my skin as compared to mask sheets. This product is available in Watson, Guardian and other local drugstores. 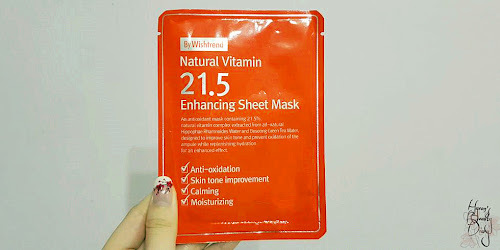 Recommend: Recommend for those who thinks mask sheet is a hassle. Your vanity would be incomplete (sort of) without a foundation. On the other hand, for most Koreans, it would be B.B. cream which they cannot let go. Today I will be sharing with you my go-to B.B. 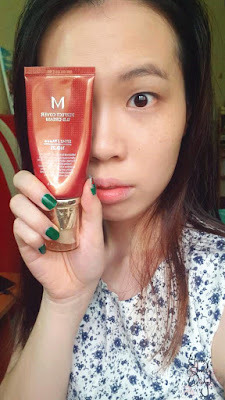 cream from Missha. 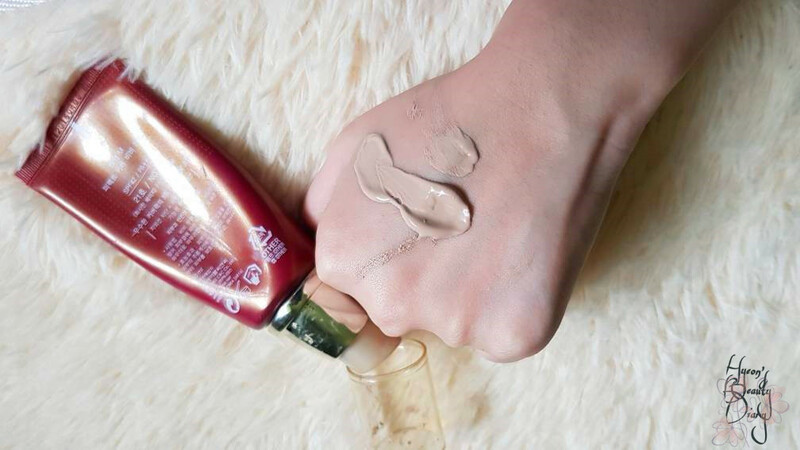 You heard a lot about the word "BB cream", but what does it actually stands for?? It simply means "beauty or blemish creams". 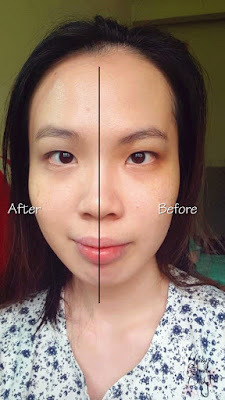 Despite BB cream was originally formulated by German dermatologist, it is widely use as an alternative to foundation for Korean women as Western formulations that tend to be too heavy for their tastes. 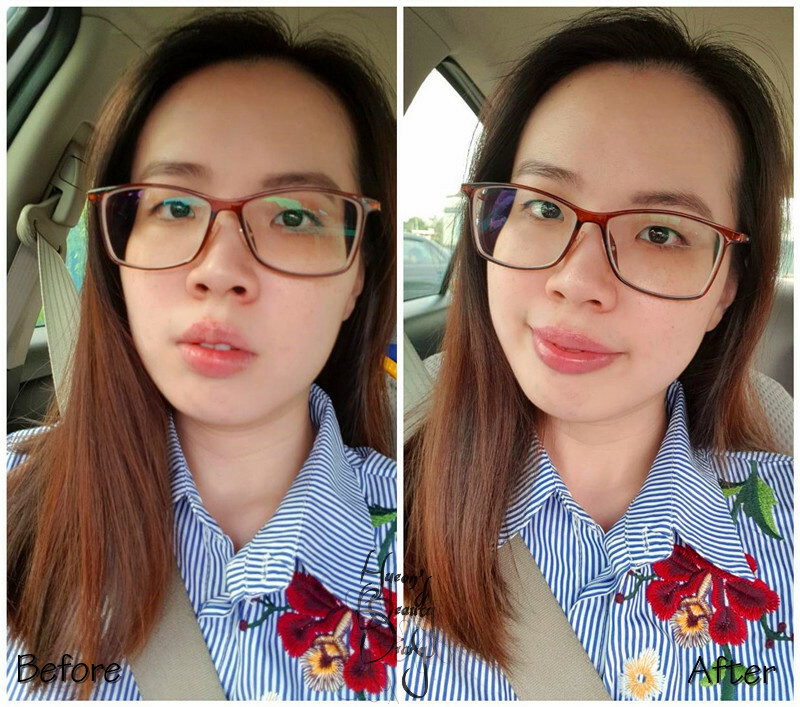 Main difference between foundation and BB cream? Coverage. So BB cream tends to provide natural finished with less coverage. If you are a full-coverage hippie, perhaps this is not what you're looking for (kind reminder). Also, people enjoy using bb creams because of its multi-functionalities. Nevertheless, Missha claims that M Perfect Cover BB cream has the effect of UV blocking, whitening and wrinkle care whilst creating perfect cover makeup. That's one of the reasons why this product is popular among Korean women. As you can see (above), you can see a nozzle under the cap. Press the nozzle to pump out the bb cream. 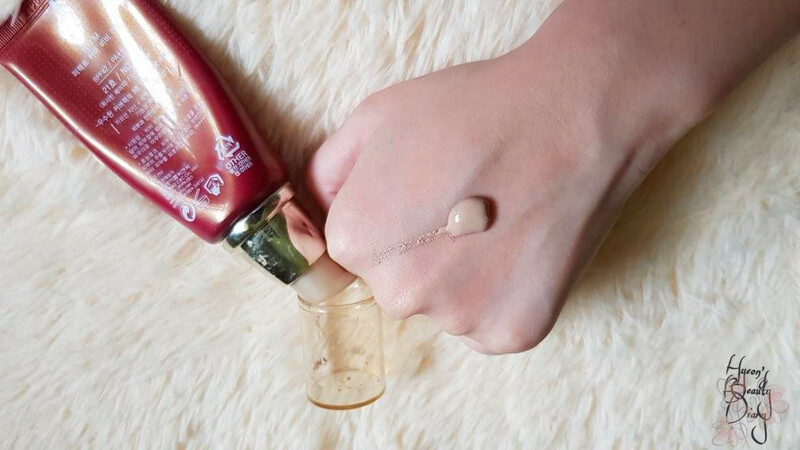 It is easier to get the right amount of bb cream using nozzle rather than squeezing/pressing the tube itself; that's why I like the design. This is the amount you can get from one full pump (as above) and it is the right amount for my whole face. From the photo above, I did a little swipe on the back of my hand. The color is really close to my skin tone and I like its pink-undertone. The formula is thick and creamy, easy to apply and blend. To show the difference, I apply Missha's M Perfect BB Cream on the right side of my face. Voila! My skin looks clearer and healthier than before! Observe my under-eye areas and freckles. 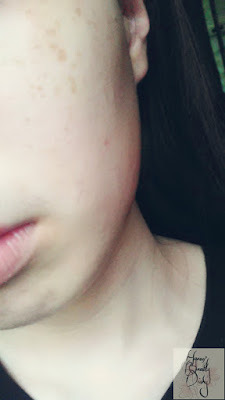 Although they are still showing up, the bb cream does help to blur them out. Take a closer look. When applied, the bb cream sticks on the skin (or what they call "adherence") perfectly, just like your own skin. Natural-finished look? Absolutely yay! From what I noticed, it does cake up around the the nose area after a few hours. 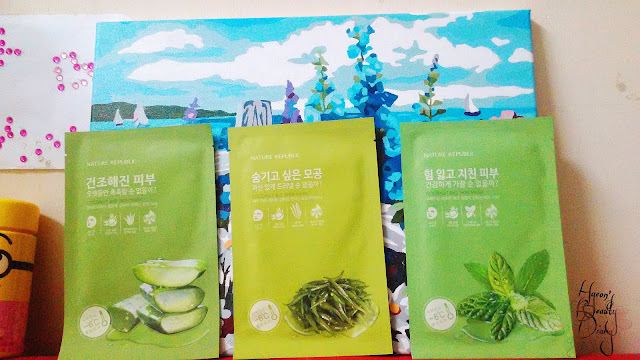 This product is available on Missha concept stores and online stores (Althea and Hermo). Recommend: Absolutely love it. Definitely recommend. Value for money. Repurchase: Yes, I would seriously consider once finished (still a long way to go btw). Oh my my, I can't believe it's already 100th product review posts. If you are reading this, thank you for visiting this site. 🌹 Perhaps you are here because you wish to know more on a certain product(s) which you are interested of getting it. Anyway, hope what you read or see today could give you a better picture of it. This time round I'm going to share with you a lipstick which not only look pretty in your purse, but also moisturizes your lips, gives you healthy pinkish plumped kissable lips. A little background of the brand. GLAMFOX is founded in the year 2002. 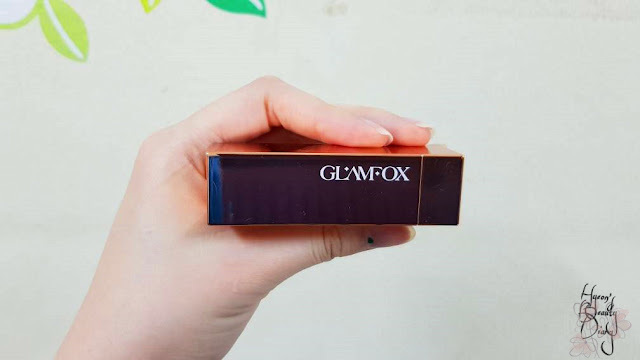 In fact, its brand name can be decipher as "Glamorous Fox" whereby the latter can be understand as "captivating woman". Actually I came across this product on Althea online shopping website whereby it features in "new arrival" column which they give further discount of 10%. Currently, it is available for RM42. There are six (6) colors available at the moment: Green (Moonlight Flower), yellow (Honey Flower), pink (Peach Flower), red (Rose Flower), blue (Emerald Flower) and purple (Witch Flower). And I thought, "that's cool to have purple flower because it is uncommon", that's why I got myself Witch Flower (heh). Well, as far as I understand, the color of the flower doesn't have much significant to its effectiveness. All colors have the same formula, and you got to pick your favourite color among them. 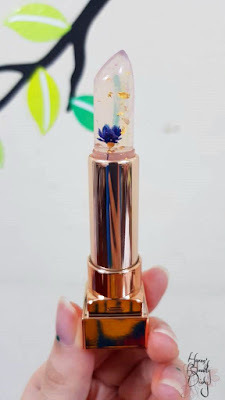 By merely judging on its packaging, I would give 10/10 because it does give the glamorous effect with the rose gold reflective casing. The casing itself is rather light, and if I'm not wrong, it is made out of good quality plastic. Let's have a twist and see what's inside! 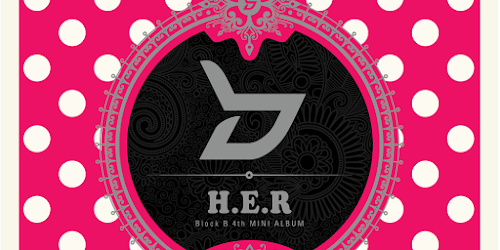 The lipstick itself its not clear transparent, but a bit pinkish in my view. Besides noticing a small purple(?) 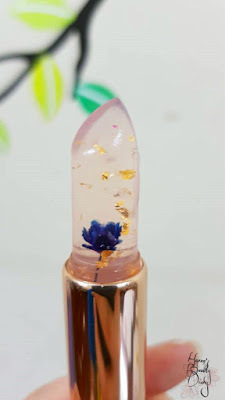 flower in the center of the lipstick, you can also see tiny gold foils "floating" inside. 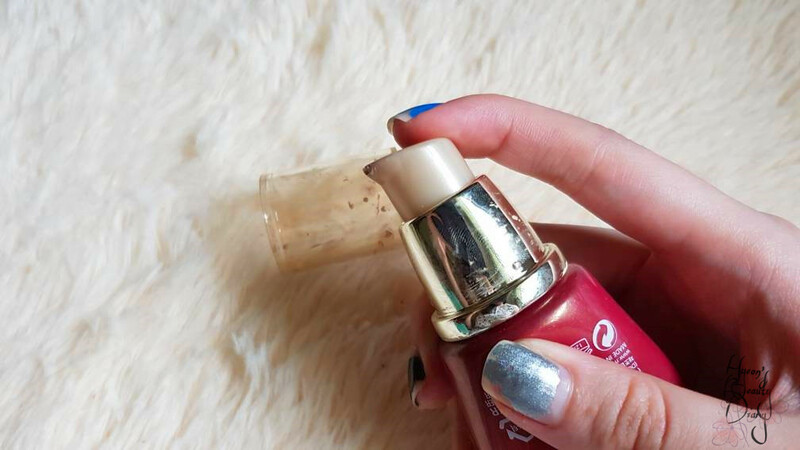 As told in description, the lipstick gives pinkish tint once applied on skin. 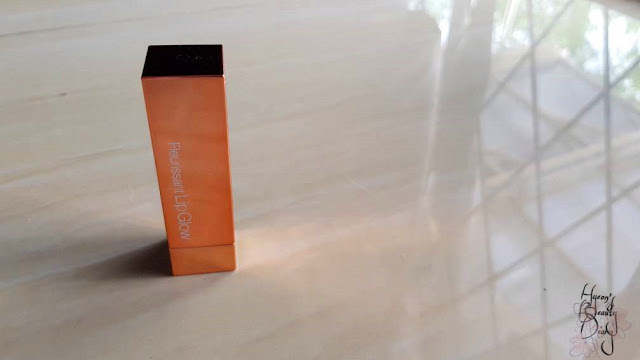 Even you apply multiple times on the same spot, the color is not as pigmented and obvious as conventional lipsticks. The formula really helps to moisturize the lips and it does give a glowy-effect. Recommend: Definitely worth the try. 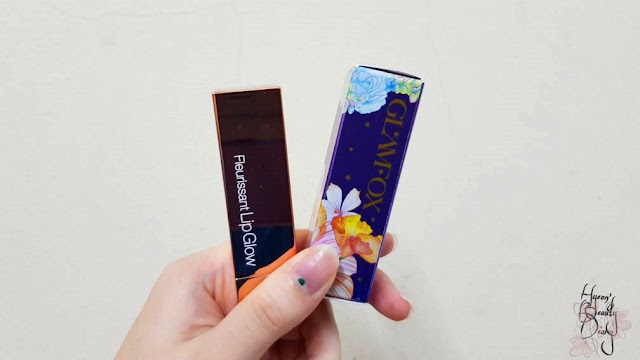 Lip moisturizer and lip tint 2-in-1. Repurchase: Not for myself, but would consider as a gift for family or friends. Nowadays skincare companies have to crack their heads to create new products featuring new ingredients in order to "wow" consumers. 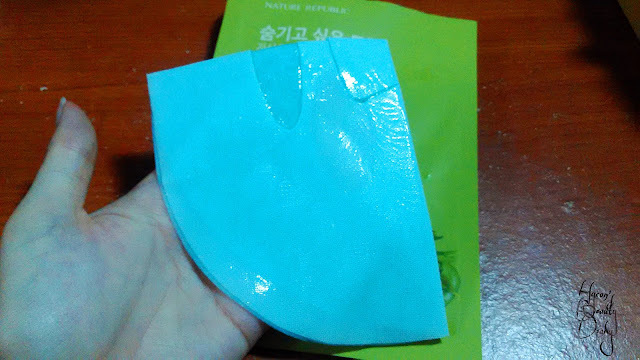 Here we have Nature Republic's Coconut Bio Skin Mask, which literally by its name, it is made of coconut bio skin. What is that actually? Let's find it out! 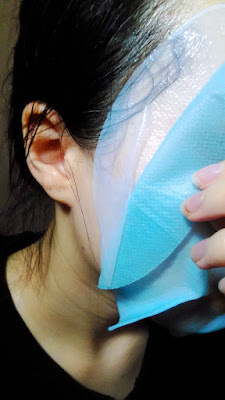 Honestly, I was drawn to these mask sheets as it claims to reduce skin temperature up to 6°C. That's fascinating. I really need that. Another selling point. This series uses fermented natural coconut water that gives ultra-moisturizing and excellent elasticity effect. Coconut is an all-rounder fruit after all. 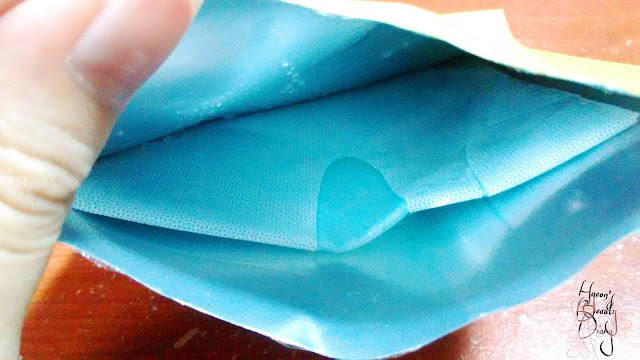 As you open the pouch and pull out the mask sheet, you should see two protective films/sheets are attached to it; white and blue respectively. 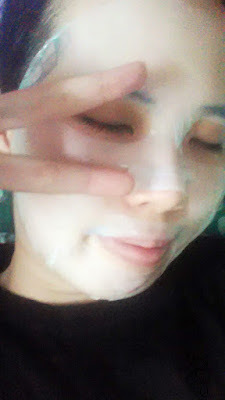 Remove the white protective sheet (as below) and place the coconut bio skin mask onto the face. When you are happy with the mask sheet's position, remove the blue protective sheet (as below). 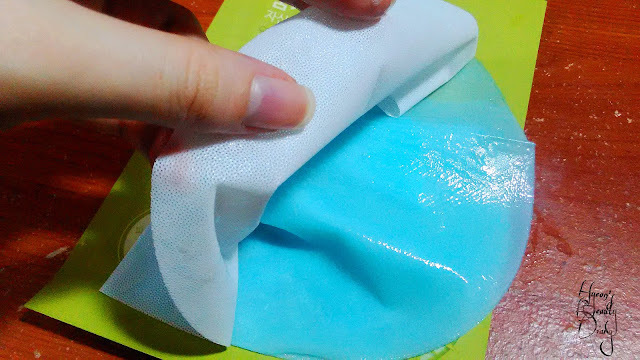 As you can observe from here, the coconut bio skin mask is opaque and coconut jelly-type texture, unlike the traditional cotton-type or fabric-type mask sheets, which is interesting. It also reminds me of hydrogel. Similar but not exactly the same. Leave it for about 15-20 minutes then remove the mask sheet. Personally, I felt the moisturizing effect is astonishing. The coconut bio skin "hydrogel" has longer life span in providing continuous moisturization to the skin throughout the treatment. Unlike some of the products, their mask sheets tend to dry out before 15 minutes. After removing the mask sheet, I can feel that my skin temperature has cooled down and also plumped with moisture. Overall, I thought this product delivers moisture in excellency. 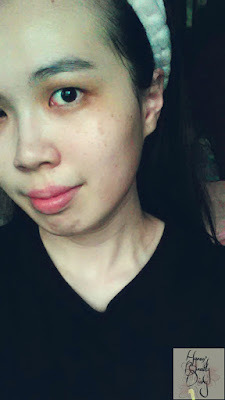 In terms of pore care and vitality, I must confess I didn't notice much of the difference from one to another as I was just trying out once. Probably hard to observe improvement overnight. 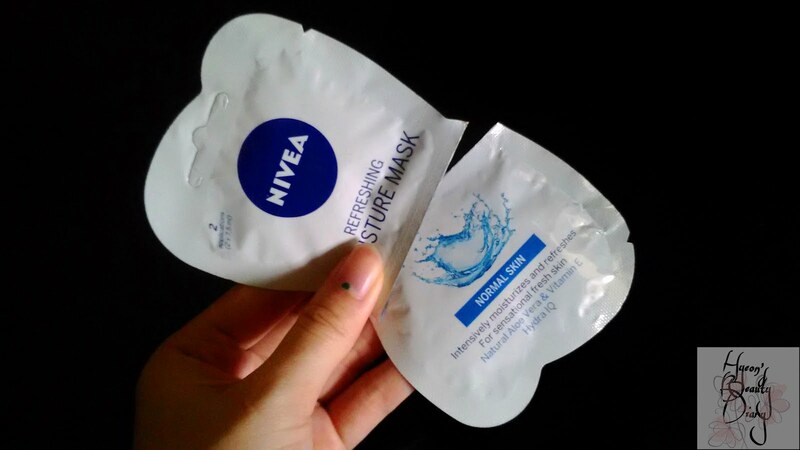 Repurchase: No, as I'm not quite fancy of its unique texture. 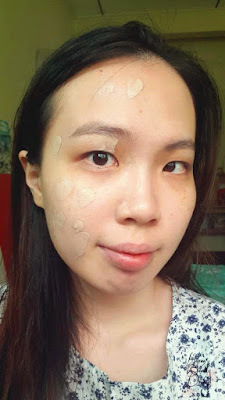 It's been some time since my last review on cleansing product. 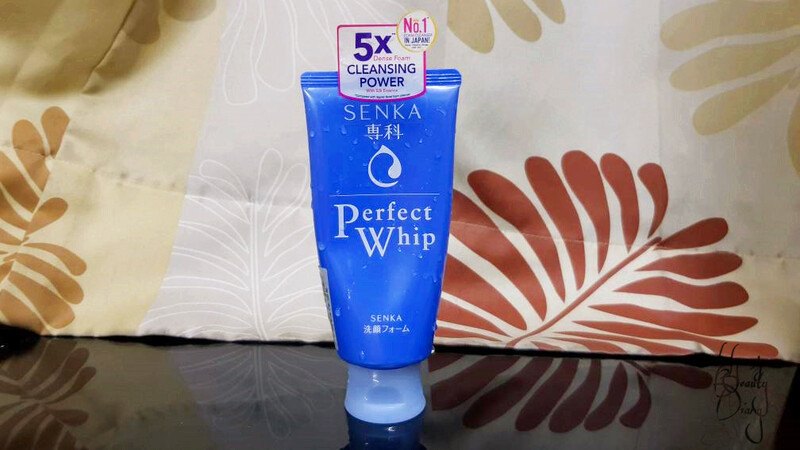 Hence, today I am bringing you my honest opinion on this cleansing foam from Senka. First of all, to establish an understanding on the brand. Honestly, I have been very confused by the name Shiseido Senka since day 1. 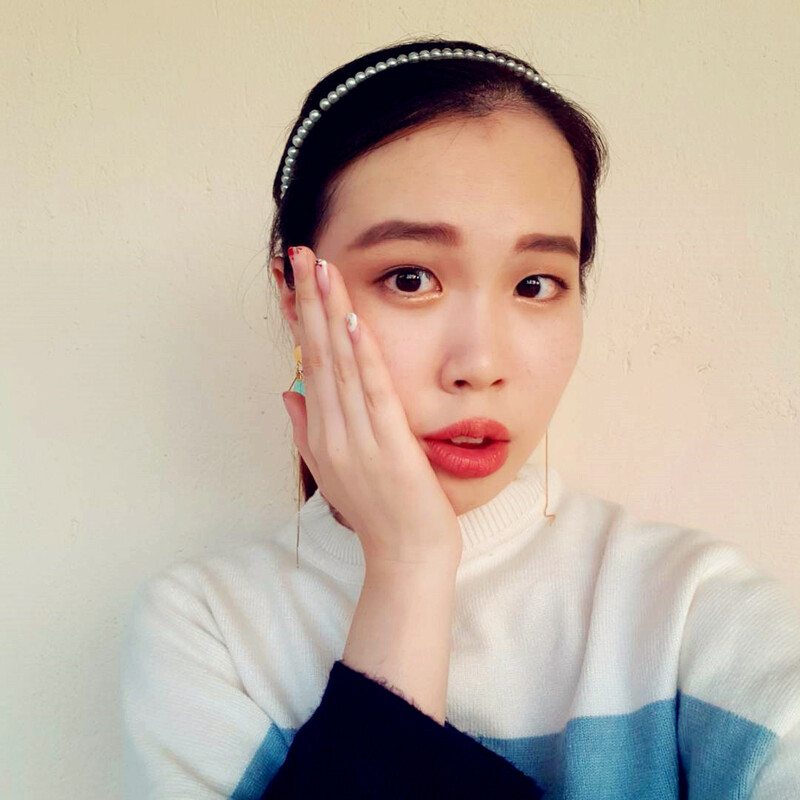 What is the relationship between Shiseido and Senka btw? 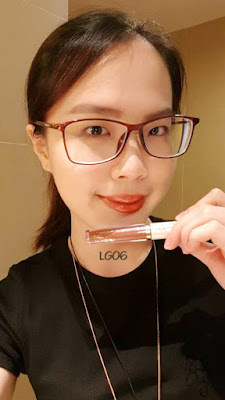 The fact is, the brand Shiseido which we heard a lot is better known as "Shiseido Ginza Tokyo" that sells prestige products through counseling, primarily in department stores and cosmetics specialty stores. And the brand is owned by the Shiseido Group. The business proudly manages numerous renowned brands which can be categorized into 5 main divisions: prestige products, fragrance, cosmetic, personal care and hair professional. 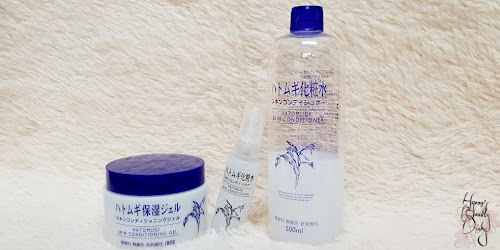 For instance, Senka is an affordable highly-effective skincare brand under Shiseido Group. 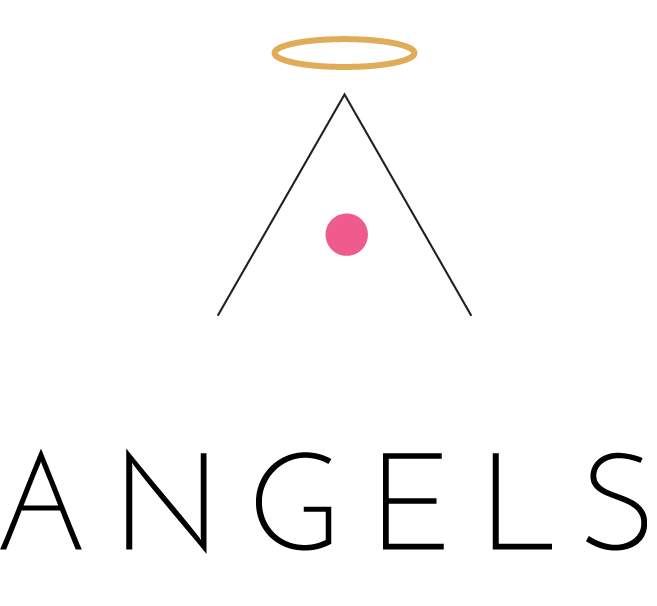 The brand offers full line of skincare and body care which includes face wash, makeup cleansers, moisturizers, body soap, sunscreen and more (source). 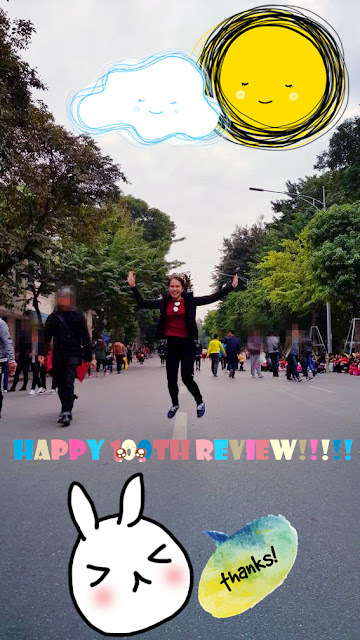 I ran into bunch of reviews, that's why I decided to give it a try. What more it is now available in local drugstores, Watson and Guardian. You can get this product under RM20. 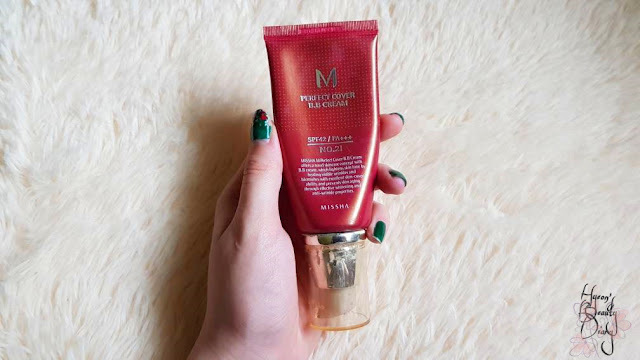 According to its product description, this cleansing foam not only able to produce rich and intense foam, but also able to hydrate and moisture the skin while cleansing. 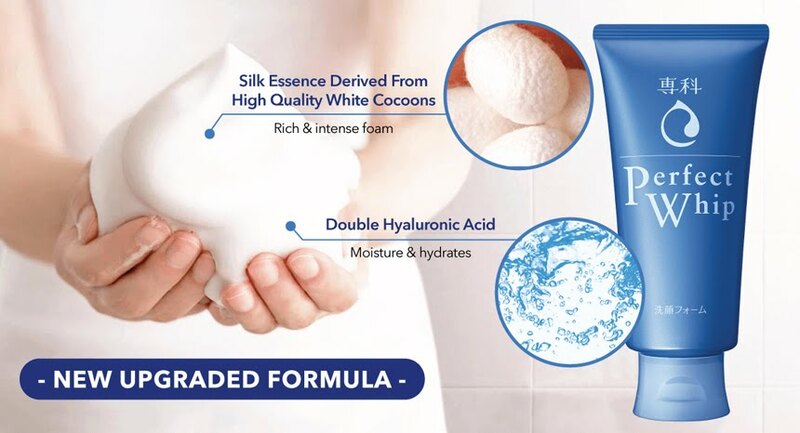 "A gentle facial wash that envelops the skin in a cloud of rich white cocoon foam." -SENKA. 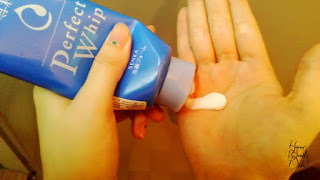 To start, take appropriate amount, which is about 2cm and add water onto your palm. Then lather the formula into a creamy foam by rubbing your hands together (as below). As you can see, there is no bubble at this stage, merely thick and rich lather. If you are fancy of getting big and fluffy foam, I would recommend you to use a bubble maker or konjac sponge. For me, I will just stop at this step and start washing my face with it for about a minute. Then rinse with water. Well, I know some like the squeeky clean sensation after cleansing, it gives the feeling that you're super clean inside out, but bear in mind, don't choose a cleansing product that dries up your skin moisture. Don't get me wrong, this cleanser does not dry up my skin. 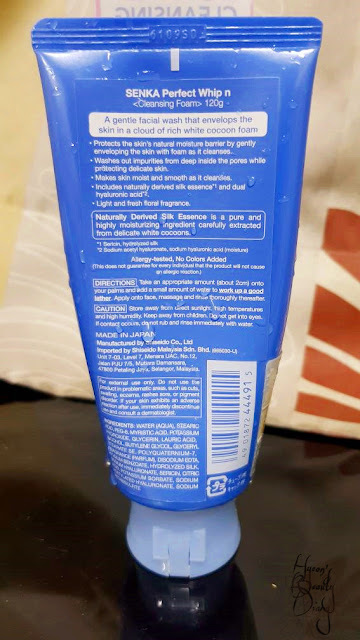 It is indeed a gentle and mild foam cleanser. Also, I do like its lather texture, which is rich and smooth. Nevertheless, personally I would prefer a cleansing product which is more gentle on the skin. Recommend: Worth the try for oily skin type.